Growing Fury is the skill that defines Brawler. On use, it gives a buff that gives all offensive skills (and Bull Rush) a frontal block as well as increasing crit factor by 50, power by 45 and cooldown reduction by 30%, however it decreases attack speed by 10. The buff lasts until the rage bar is depleted, which takes 12 seconds at a rate of 250 rage decay per second. Before we get started we want to let you know about our fantastic hot sale that is happening right now. It makes us the best place to buy Tera Gold as you get them nice and cheap and we are the most trusted seller online. Maintaining the buff is generally easy as long as you are constantly using skills and have all of the rage generation skills glyphed. Losing the GF buff by dying or running out of rage isn’t the end of the world as it has no cooldown, nevertheless, you should try to keep your uptime as high as possible and it takes time to generate full rage to use GF again. Haymaker is one of Brawler’s core DPS skills. Its base damage isn’t the highest, however, it has an innate 5x crit factor modifier that gives it a high crit chance. In addition, haymaker has the bloodlust effect where damage is increased the lower the boss’ HP, up to 78% additional damage. Jackhammer is a filler skill with a very low cooldown and medium base damage. Applies a 1.5% endurance debuff on the hit that stacks up to 8 times (12% total). Jackhammer does not scale with attack speed. Roundhouse Kick has low damage, but it can be glyphed to give a buff on the hit that grants +15% damage for 3 seconds. Careful use of this skill can result in a significant DPS increase through high buff uptime. Also, RHK is a high priority ability and can be used to animation cancel along with Ground Pounder and Counterpunch. Ground Pounder is a skill with a high base damage, but a long animation (the first two hits are an animation lock). The last hit of Ground Pounder has an innate 2x crit modifier. Counterpunch is a skill that can only be used within 6 seconds of blocking an attack and has a very high chance to crit. Piledriver is a skill with low dps and is mainly a filler ability. The last hit of Piledriver has an innate 2x crit modifier. Flip Kick has low base damage and no innate crit. It is the lowest priority filler for Brawler. The counter is Brawler’s manual block skill. It has no cooldown and does negligible damage. It can be glyphed to give a 60% chance on Perfect Block of granting a 25% damage buff for 6 seconds. This will be discussed in its own section. The counter can be chained from Punch to produce a combo attack that can be used as a gap-closer. A skill with a high base damage and guaranteed crit. It consists of four pairs of punches followed by an uppercut (5 casts). Each cast has a short animation and doesn’t deal much damage, but each hit reduces skill cooldowns by 1 second and grants a 4-second duration 8% base power and 8% attack speed buff that stacks up to 5 times. Other skills can be used in between punches. Skill with moderate base damage and an innate 2x crit modifier. Its use is to lower Brawling Roll’s cooldown by 10s on hit, and as a mobility skill as it travels ~14m when chained. This skill is an animation cancel similar to Roundhouse Kick. Skill almost identical to haymaker with a mirrored animation, 1.5x base damage, 25-second base cooldown and negligible travel distance. It is guaranteed crit and has a similar bloodlust effect to Haymaker. With Awakening, the rage cost of Divine Wrath was removed (meaning it can be used during Growing Fury). This skill has a high base damage and is guaranteed to crit. However, it has a very long cast time during which you are animation locked, and the perfect block reflect is bugged to do minimal damage so it is not recommended to use this skill at all. Increases damage to monsters by 5% when above 75% rage. This should be possible to maintain throughout most fights except on bosses with long mechanics. Perfect blocks generate stacks that are consumed on the next Haymaker or One-Inch Punch to increase damage by 1% per stack. First perfect block generates 5 stacks, with 1 stack gained per further perfect block. This passive increases the attack speed of One-Inch Punch by 20% for 2 seconds after casting Haymaker. This is negligible as One-inch Punch has a very short cast time. 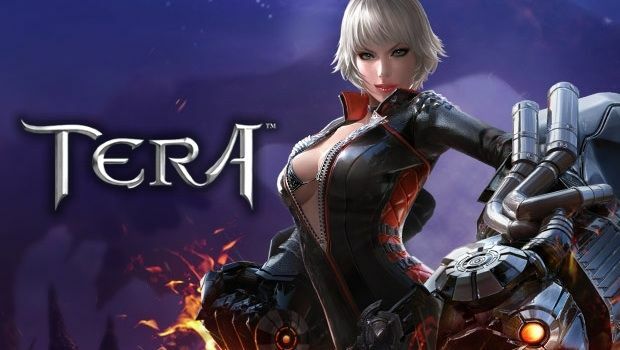 If you are new players to Tera and interest in Brawler, you need to know these Brawler skills, moreover, you can purchase cheap Tera Gold you need in Tera from U4GM, that’s all, have a nice day.